In this post I show how to run simple Node.js applications with Nashorn on the JVM. 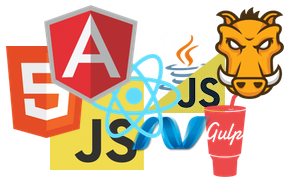 Avatar.js is a project to bring the node programming model, APIs and module ecosystem to the Java platform. Unfortunately Avatar.js does not officially provide a binary distribution and the build process looks quite intricate (involving Python and C++). There is also Project Avatar, an upcoming web-platform by Oracle. Project Avatar builds upon Avatar.js. By reverse-engineering Project Avatar I found the necessary artefacts of Avatar.js in the java.net Maven repository. These artefacts can be used to run Node applications with Avatar.js without having to build Avatar.js yourself. The following steps show how to run a simple Node.js web application on OSX. The steps should be very similar for Linux or Windows. Download avatar-js.jar from the java.net Maven Repo. Download the native library avatar-js.dylib from the java.net Maven Repo. I posted a blog a few months ago and built a script to automate the build. Just tried this, one change to your instructions - where you write "Rename the native library to avatar-js.dylib " I had to actually rename to "libavatar-js.dylib" or I'd get "Exception in thread "main" java.lang.UnsatisfiedLinkError: no avatar-js in java.library.path"
For anyone else getting UnsatisfiedLinkError on Linux, I had to rename the "libavatar-js.dylib" to "libavatar-js.so"